(CNN) - A hero's welcome awaits them when they get to the top, not because they did anything markedly noble - besides defy odds - but because they showed us there is hope even when the worst seems certain. By this time Wednesday, the historic moment should be long under way. After 69 days beneath the earth, the last of the 33 miners trapped in the San Jose gold and copper mine in Chile should be preparing for their ascent to freedom. Their survival, many will say, was born of the strength, patience and resilience God instilled in them. Already, there have been myriad times a higher power was more than a mere specter or matter of faith to the men. Crammed like the canned fish that first sustained them into a space the size of a Manhattan studio apartment, they have expressed a oneness with the Holy Spirit that resonates with Chileans, 87 percent of whom are Christian. "We 33 miners are walking hand in hand with God," miner Mario Sepulveda reported on August 31, about 26 days after the mine collapsed and nine days after the world first learned they were alive. Another 42 days have passed since that profession of faith. Each day has doubtless required similar, sustaining thoughts. A bore hole was drilled early Wednesday into the area of a West Virginia coal mine where four miners, unaccounted for following an explosion Monday, are expected to be found, Gov. Joe Manchin said. Pipes were lowered into the hole, and officials banged on the pipes in an effort to contact those underground, but there was no response, Manchin said. The hole punched through about 4:15 a.m. ET, the governor said. Two more holes were under way, and a fourth is planned. 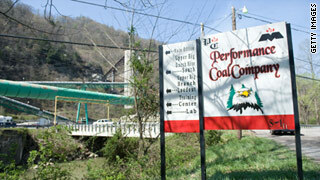 "There's a sliver of hope, but we know that the odds are not in our favor," West Virginia Gov. Joe Manchin told CNN. "Everyone's going to cling to the hope of a miracle," he told reporters. "That is the true agony of this." NOTE – Miner Stanley Stewart will be among our guests tonight discussing the latest in the rescue effort – Stewart was between 300 – 400 feet below the surface preparing for his shift when the explosion occurred. Read more about his story HERE and be sure to tune in TONIGHT at 9pmet. It could take up to two days to drill bore holes into a sprawling West Virginia coal mine, scene of a massive blast that left at least 25 miners dead, a mining official said Tuesday. Bulldozers will be used to clear a path through the hills and bring in equipment to reach the affected part of the Upper Big Branch Mine, Kevin Stricklin of the U.S. Mine Safety and Health Administration said. The holes will be drilled 1,200 feet down to help ventilate the mine and collect samples. 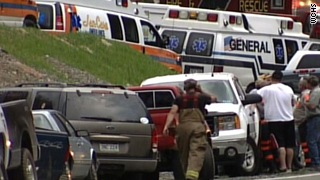 Rescue crews early Tuesday halted their efforts to reach four miners still unaccounted for, as concentrations of methane and carbon monoxide posed a safety risk, Stricklin said. "I think it's a dire situation but I do think that it is a rescue operation and it will be that way until we confirm that these four additional people are not living," he said earlier. "I mean, there are miracles that go on." "Basically all we have left," Stricklin said, "is hope." *NOTE – We'll be discussing the latest on the mine explosion on tonight's LARRY KING LIVE – tune in at 9pmet! A picture began to emerge Thursday of the suspect in the Fort Hood shootings as a mental-health professional who had worked to help others in high-stress situations. 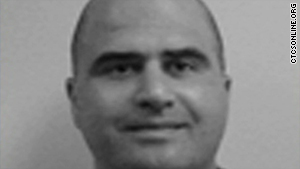 The alleged gunman was identified as Maj. Nidal Malik Hasan, 39, military officials said. Hasan's office at the base's Darnall Army Medical Center is about a mile from where the shootings occurred. Though it was previously reported he was dead, officials reported late Thursday he was alive, wounded and in stable condition. Staff Sgt. Marc Molano, currently based at Fort Knox, Kentucky, told CNN he was treated by Hasan for post-traumatic stress disorder while at Walter Reed Army Medical Center in Washington earlier this year. "Dr. Hasan provided me with nothing but the best care," Molana said. "He was a very well-mannered, polite psychiatrist, and it's just a shock to know that Dr. Hasan could have done this. It's still kind of hard to believe." Molano described him as "far and away one of the best psychiatrists I ever dealt with." But, he added, "Hasan hears nothing but these horror stories from soldiers who come back from Iraq and Afghanistan - just hearing it I'm pretty sure would have a profound effect." FORT COLLINS, Colo. - A 6-year-old boy, who was feared adrift in a wayward homemade helium balloon, was found safe in his home after a massive search Thursday afternoon. The discovery ended a nerve-racking four-hour chase and hunt because authorities and family members had believed that Falcon Heene accidentally lifted off in the family's silver saucer-shaped weather balloon when it became untethered from their Fort Collins back yard. Millions worldwide watched on live TV and on the Internet as helicopter cameras tracked the balloon as it floated thousands of feet above rural Colorado before it crashed in a field. Swarming deputies soon reported that the boy was not on board. "Be advised it's empty ... It's empty," an official announced on the Larimer County dispatcher radio. That prompted a massive ground search, with law enforcement agencies retracing the balloon's path in an effort to try and locate the missing boy. FORT COLLINS, Colo. - The search is on for a 6-year-old boy who is missing after floating over northeastern Colorado in a homebuilt helium balloon that touched down about two hours after lifting off. The balloon landed south of Prospect Springs, Colorado, on Thursday afternoon. The balloon landed about 2 miles northeast of Prospect Reservoir at 1:35 p.m., in Weld County, but the boy was not inside. That's about 50 miles from where the balloon lifted off. The boy has been identified as Falcon Heene, the youngest of three sons of Richard and Mayumi Heene, of Fort Collins. The family reported Falcon could not be found after the balloon lifted off. His older brother told his parents that he saw Falcon climb into the small compartment at the bottom of the balloon and the balloon lifted off, Larimer County Sheriff's Office spokeswoman Kathy Messick said. (CNN) - A runaway balloon has touched down in Colorado after a 6-year-old boy untied it from his family home in Fort Collins. The dome-shaped balloon is 20 feet long and 5 feet high, Larimer County Sheriff's Office says. A sibling saw the boy get into the craft Thursday morning. Officials were concerned that the boy may have fallen out of it, an undersheriff said. Margie Martinez of the Weld County Sheriff's Office said a sibling saw Falcon Heene climb into the basket before the balloon took off from his parents' Fort Collins, Colorado home. Since the door on the balloon was unlocked, it's possible the boy had fallen out, Martinez said. The balloon appeared to be a saucer-shaped, Mylar-coated helium balloon, similar to a party balloon. The craft was drifting eastward, authorities said.